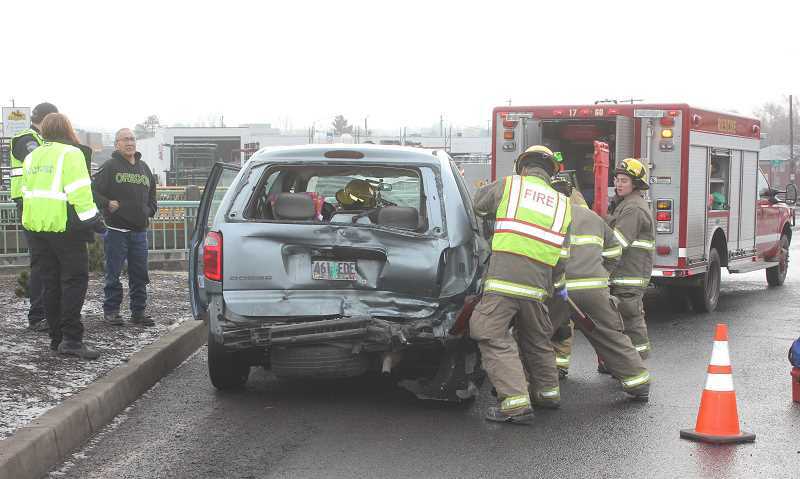 A three-car accident sent several people to the hospital on Thursday, Jan. 17. According to Madras Police officer Isaiah Duarte, Jan Foster, of Madras, the driver of a GMC Yukon, rear-ended a Dodge Caravan, driven by Tony Boise, of Warm Springs, and pushed it into a third vehicle, a Chevy. Two people from the GMC and three people from the Dodge were transported to St. Charles Madras for treatment of unspecified injuries, Duarte said. Foster was cited for following too closely, and Boise was cited for not having an operator's license. The Chevy received only minor damage, and its occupants were not injured.